"My barts’ clarity and versatility are unmatched. I often get told how clear my tone is which i attribute to the best pickup company out there! Whether it’s live, session, any genre, soft/ digging in, Barts got it covered!" Cory began playing the bass at the age of 10. Born to a drummer father, he was always around music and his dad had basses laying around the house. Before bass, Cory took piano lessons and learned to read music and basic theory. He began dreading piano lessons and picked up drums and bass guitar. However, he was especially drawn to Verdine White’s playing that drove Earth Wind and Fire’s low end and decided to pursue his craft on bass. Cory began studying R&B and soul music. After a few years of being self-taught, he began taking formal lessons which prepared him to play in his high school and college jazz bands. During his time at the University of Santa Barbara California, Cory started to get calls from peers in UCLA. Jazz majors at UCLA called Cory to play in various fusion, jazz, funk ensembles and for pop artists as well. 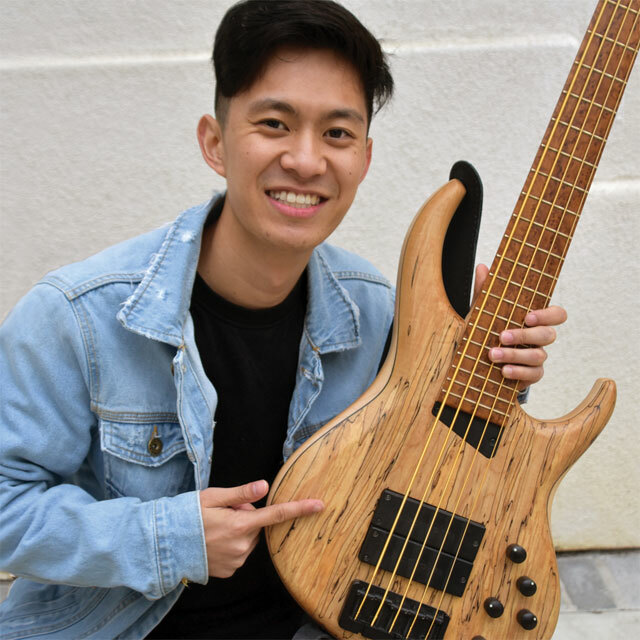 Six months after graduating in the class of 2017 with a degree in Sociology of all things, Cory got the call to play for Grammy-nominated pianist/composer David Benoit. Aside from Benoit’s traveling schedule, Cory works in the LA gospel church scene, freelances in several jazz fusion groups, and teaches private lessons. Also, putting to use his previous piano training, Cory often plays keybass for pop and R&B artists such as Australian X-Factor star Joey. His biggest influence is Donald Alford Jr. whom he admires for his versatile playing and his passion for Jesus Christ.